on a soapbox, showcase their musical talents and partake in a myriad of other recreational activities. 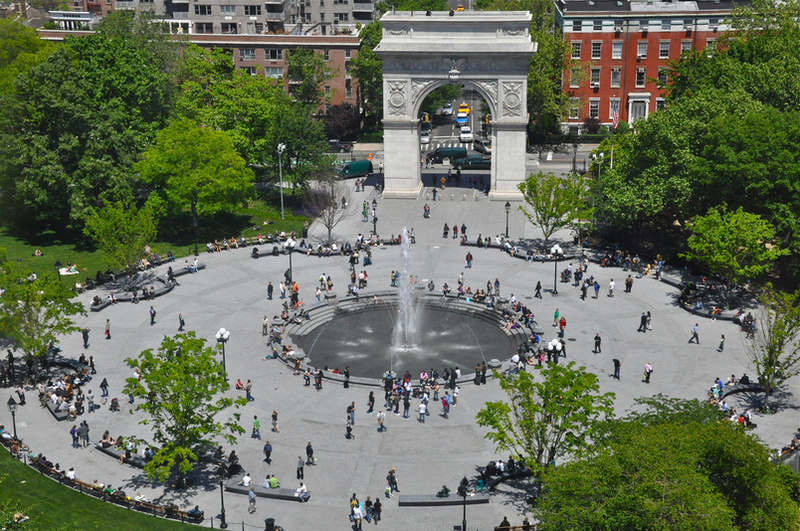 Washington Square Park has come to be a defining aspect of Greenwich Village, and has provided a space and place for individuals to gather and share ideas and experiences. 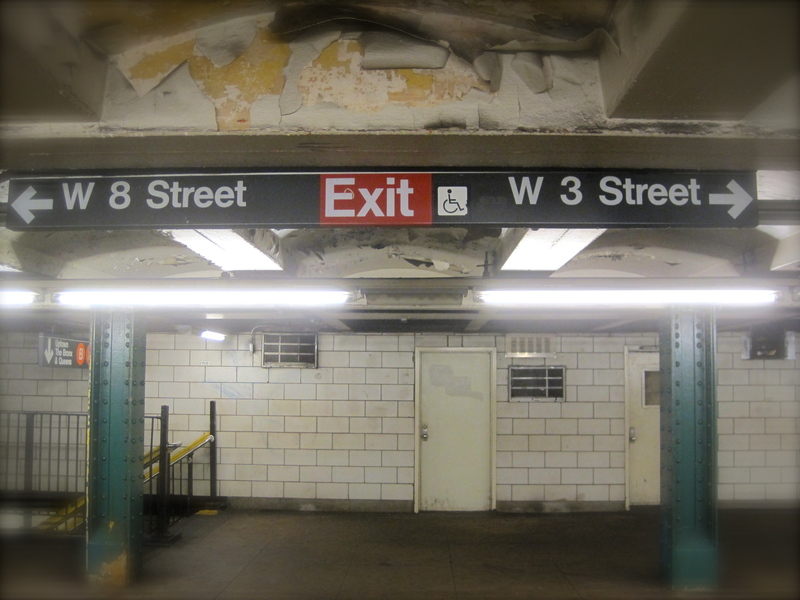 However, as with all space and places in New York, Washington Square Park was not always a place of leisure. It was not even always a park. It was not until 1827 when Philip Hone (a war hero from the War of 1812) became Mayor of New York that Washington Square Park became such. He pushed for the development of the park in order to mimic London’s high-end residential neighborhood West End. This was in attempts to lure wealthy individuals to live in the area, an effort that was successful. To add the extra push for his campaign, Hone proposed the park to be named after President George Washington in honor of the fiftieth anniversary of his presidency (and the American Revolution). Again, an effort that was obviously successful. Previous to this turn of events, the large public space was designated as a common cemetery where victims of the Yellow Fever epidemic were buried in 1797. 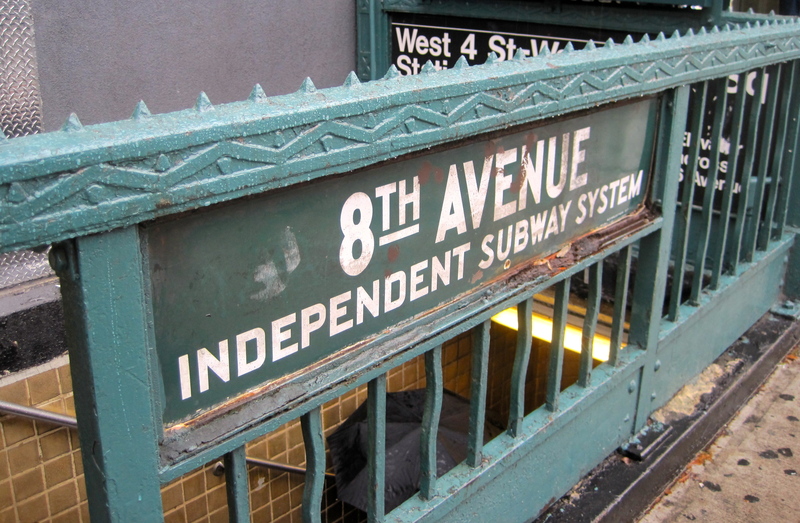 Bones and human artifacts are regularly discovered each time renovations occur at Washington Square Park, and even on occasion when ConEd needs to break ground for repairs. Eventually the space was appropriated for public gallows. This led the big English Elm tree near the northwest portion of the park to be dubbed “the hanging elm.” There are no extant records of anyone ever being hung on the Elm tree, however there are several accounts of individuals being hung from gallows a measly 150 meters away. The tree is estimated by the Department of Parks and Recreation to be about 330 years old, making it one of the oldest trees in Manhattan. This bit of information is particularly astounding given that English Elm trees only have the life expectancy of about 300 years. Upon some research, I discovered the connections between the park, the Elm tree, public gallows and London, England. In medieval London, there was a public gallows called Tyburn whose locale moved several times throughout England’s history. Originally it was near the Tiborne River where, according to the famed medieval chronicler Hollinshed, “the fatal elm tree grew.” The area is also called “The Elms at Smithfield,” because of the abundance of Elm trees in the area. Chaucer also notes that criminals were taken to Tyburn to be hung from an Elm tree. Also, Roger de Mortimer, the First Earl of March was also hung on an Elm tree at Tyburn in 1330. Eventually there was also a three-legged wooden gallow that was constructed at this site, which was darkly and affectionately called “The Tyburn Tree.” This clearly is a reference to the Elm trees where criminals were hung previous to the construction of the gallows. In 1873 this was also the site of “Elms Lane” in Bayside. The last criminal was taken to the Elms at Smithfield in 1790, and the gallows moved to St. Giles across the street from a hospital. 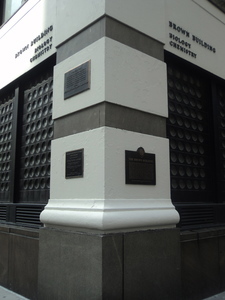 At this particular location of the gallows victims were said to receive a parting alcoholic beverage. While it is unclear whether or not the English Elm Tree at Washington Square Park was popularized as the hanging elm because of the history of hangings “at the Elms” at Smithfield, the correlation between the two is overwhelmingly strong. The area around Washington Square Park was also where very wealthy British families such as Mayflower legacies Johnstons and Griswolds settled – another strong correlation between Britain and Washington Square Park. Ironically, the biology of an Elm tree also works well as a metaphor for death because each growing season the inner bark of the Elm tree dies and is reborn the next spring. This process is what creates the “tree rings” on the inside of an Elm. By counting each ring, the Department of Parks and Recreation was able to determine the tree’s age. Also, just like the criminals hung by the Elm tree, the trees have a very delicate vascular system. The out-break of the Dutch Elm Disease in the 1960s attacked the vascular system of the Elm and devastated some 20 million trees in England. The disease was called The Dutch Elm Disease because it was first discovered in Holland in 1917. 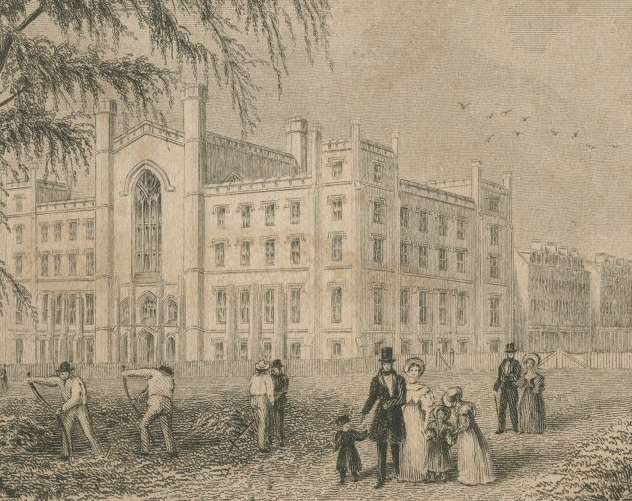 English Elms were not always associated with the gallows – like Washington Square Park, Elms also have a fluid identity that changes over time. 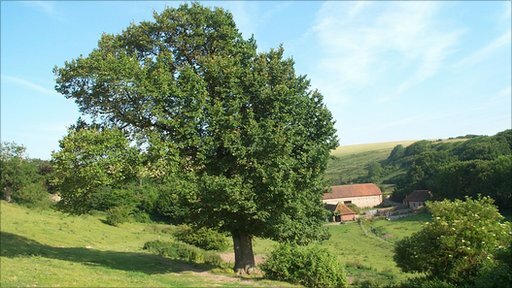 When English Elms were first widely planted in the 17th and 18th centuries, they were used mostly to provide shade for farmers in their fields. Farmers would also plant lines of Elms in order to demarcate the end or beginning of their private farming property. Flint, Anthony. 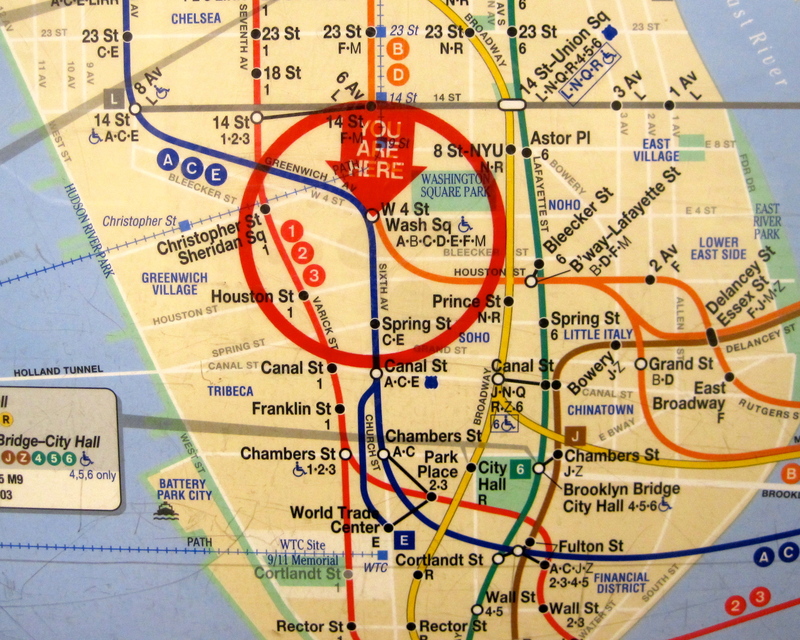 Wrestling with Moses: how Jane Jacobs took on New York’s master builder and transformed the American City. New York: Random House Digital, 2009, 67. Pilla, Domenick. “The Hangman’s Tree in Washington Square Park.” The New York Times. Online edition. April 4, 2011. Accessed 4 November 2011. Elmcare.com. http://elmcare.com/. Accesed 4 November 2011. 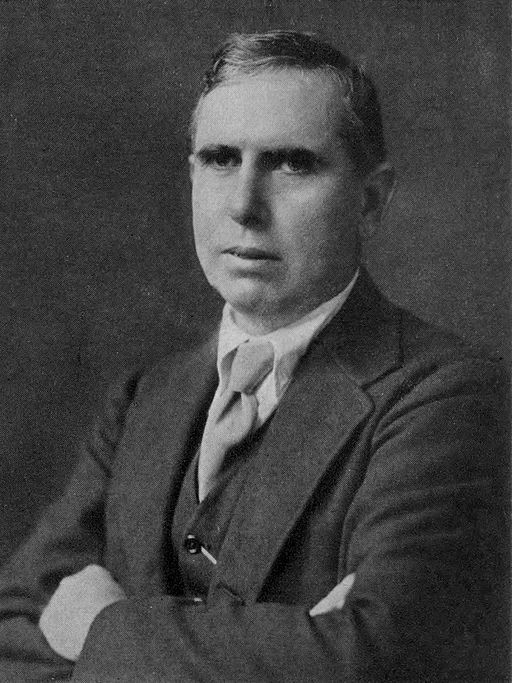 Kirwan, Daniel Joseph. Palace and hovel, or Phases of London life: being personal observations of an American in London, by day and night. Hartford: Columbian Book Co., 1878, 157. Notes and Queries. Oxford University Press, 1873. via Google Books. http://books.google.com/books?id=L_zfAAAAMAAJ&dq=elm+tree+and+gallows&source=gbs_navlinks. Accessed 4 November 2011. Thombury, George Walter and Edward Walford. Old and New London: a narrative of its history, its people and its places, by W. Thornbury (E. Walford). 1880. via Google books.http://books.google.com/books?id=lekHAAAAQAAJ&dq=the+elms,+smithfield&sou sou=gbs_navlinks_s. Accessed 4 November 2011. Elmcare.com. http://elmcare.com/. Accessed 4 November 2011. William Rhinelander Stewart was a philanthropist and financier who was born and raised in Greenwich Village. 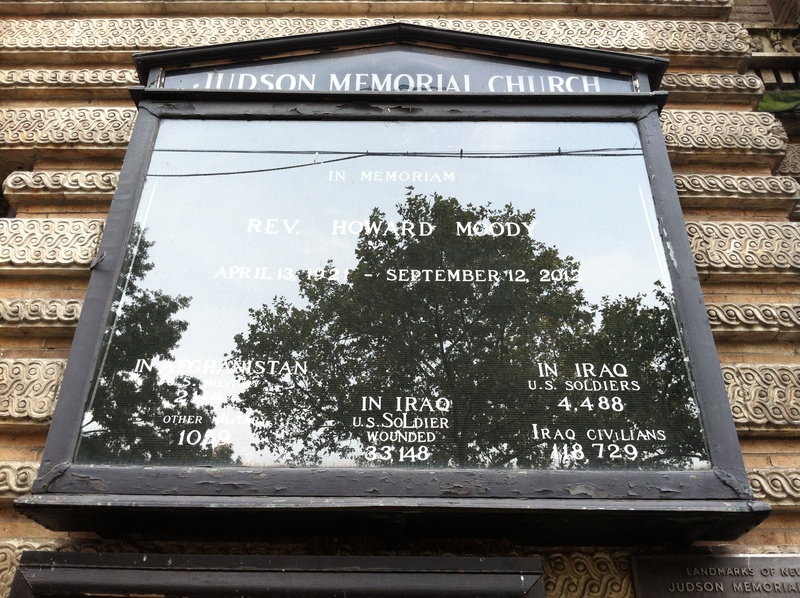 Beginning in the 1880s, Stewart focused his attention on philanthropy and so he joined charities, committees, and commissions dedicated to the betterment of New York City. His love for the rich history of New York and the beauty of his home, Greenwich Village, inspired Stewart to conceive of a monument so grand that, even today, it stands as an icon to the magnificence of New York City and the spirit of one of its oldest neighborhoods. 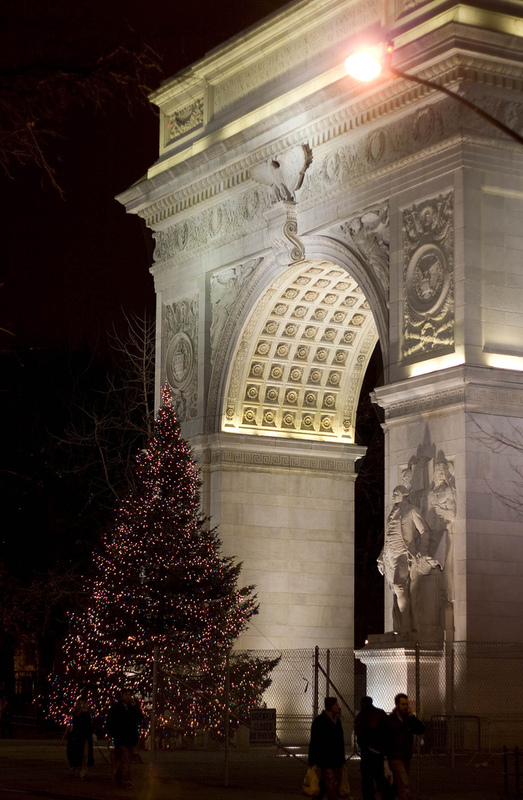 The Washington Square Arch started out as one man’s idea for the Centennial Celebration of the inauguration of George Washington in 1889, although the arch as we know it today, would not be complete until 1918. This exhibition is the story of how the Washington Arch came to be and the man who was there from the beginning to end, William Rhinelander Stewart.